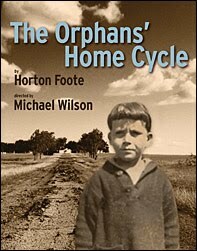 Part III of The Orphans’ Home Cycle, Horton Foote’s “nine play rural epic,” opens this Thursday, January 7, joining Parts I & II which opened in Nov & Dec of 09. All three parts run thru the end of March. Read the Signature Theatre Company synopsis here.